Cabbage is remarkably flexible: sharp and crunchy when sliced raw in salads and slaws, soft and yielding when braised over low heat, crisp-tender and flavorful when quickly cooked in stir-frys. In short, cabbage is bright and crisp when raw yet it mellows and sweetens the longer it's cooked. Look for brightly colored leaves with crisp, moist looking edges, fresh looking cut ends without browning and heads that feel heavy for their size. Any yellowing leaves, bruised leaves, or mushiness (or even potential mushiness) anywhere? Leave it at the market. For more specifics for different types of cabbage, see the guide to cabbage varieties. Head cabbages (green, red, Savoy) are storage vegetables that last a remarkably long time on the stalk before they are harvested. Once harvested, keep them well chilled, loosely wrapped in plastic, and they will last up to two weeks. (Cut cabbage will keep a few days similarly loosely wrapped and chilled.) Older cabbage is salvageable: remove any wilted outer leaves. Just note: such cabbage will be less sweet than perfectly fresh specimens. Instead of washing head cabbage, you can just remove and discard the first layer of tougher, dirty leaves. Bunched cabbage, like Napa and bok choy, can be chopped or have their leaves separates and then rinsed clean. Cut out and discard the tough core of the head cabbage. The easiest way to do this is to halve or quarter the cabbage first and then cut out the core. Chop or slice the leaves as you like. Many cabbages are delicious raw. Crisp and crunchy with a sharp edge: It's an effect we enjoy very much. Many people, having been subjected to overcooked old cabbage think they don't like cooked cabbage at all. But quickly stir-fried, or sauteed in butter, or roasted with root vegetables, or slowly cooked with plenty of aromatics – these are all delicious ways to coax out the essential sweetness that lurks in every head of cabbage. To prepare leaves for stuffed cabbage, cut out the core and then boil the entire head in salted water until tender, about 10 minutes. Remove and separate the leaves while keeping them whole. 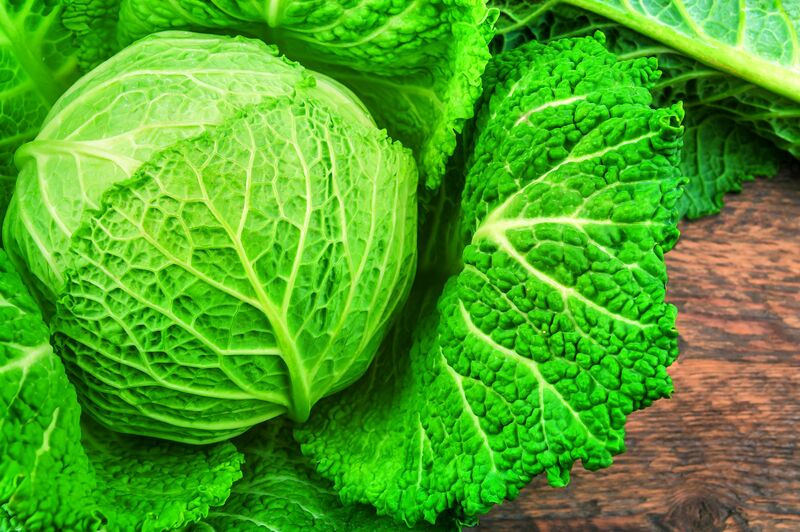 Green cabbage, red cabbage, Napa cabbage, Savoy cabbage, bok choy... there are many cabbage varieties.